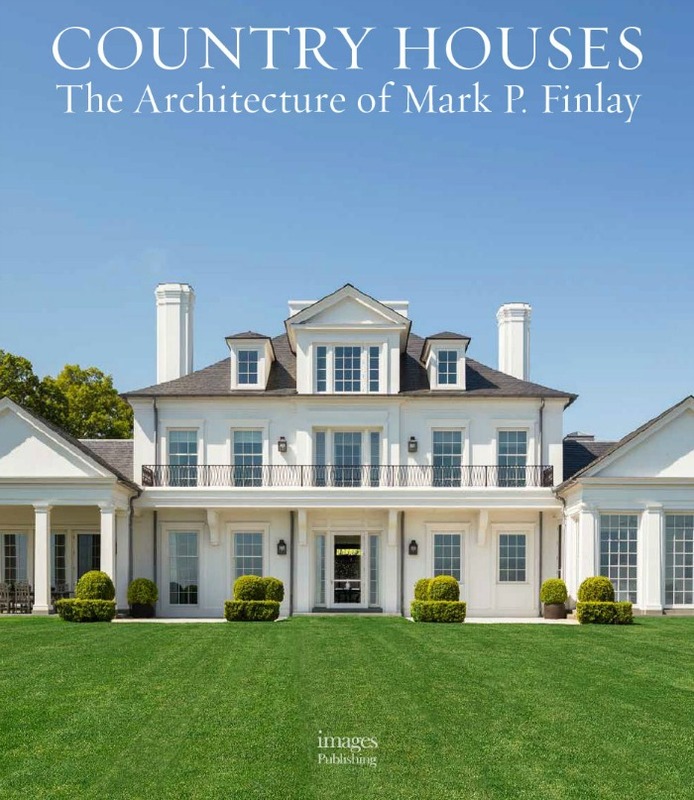 The pages of the premiere hardcover work, Country Houses: The Architecture of Mark P. Finlay, invite readers on an intimate tour of twelve properties, selected from the award winning portfolio of this Connecticut based architecture and interior design firm. From the onset, Mr. Finlay's personal introduction - including significant stories from childhood & influential employers - helps to frame the foundation for the qualities and characteristics that define his firm's signature style. Spending much of his youth surrounded by nature and crossing paths with a variety of animals in need, Mr. Finlay credits time taken to design & build structures for their shelter as serving to inspire the architect that he is today, "Someone who strives to develop a fine-grained, closely observed, intuitive understanding of my clients; to craft my designs as closely as possible to their desires; and whose greatest satisfaction comes from seeing the joy they take from my efforts." Noted apprenticeships that began at the age of 15 and continued through college years, helped cultivate crucial client skills, including taking care in watching and listening. And Mr. Finlay's early job experiences not only set the tone for creating a productive office environment, "Respect your coworkers, create a friendly atmosphere, and let every team member take ownership of every project," they also demonstrated lessons in time, "How much time and effort it takes to get a building right, to perfect the details and really make a project come to life." 'Heritage, With a Sense of Humor' -- Located within a bedroom community of New York City, this stately Georgian Revival marries period defining details with the custom accents requested by the homeowners. Interior design by Mark P. Finlay Interiors. 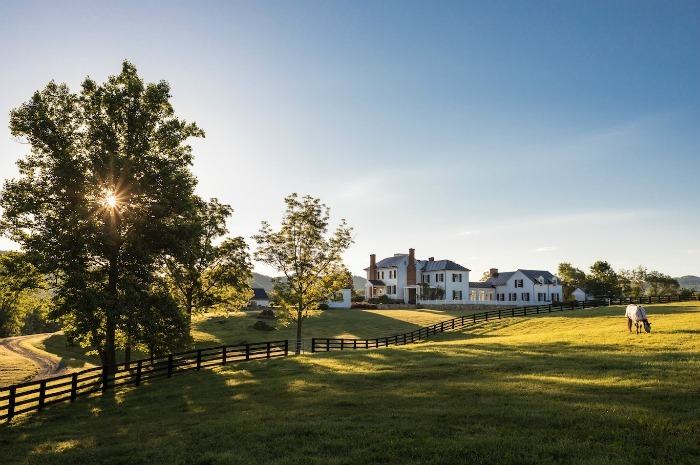 'Preservation and Reinterpretation' -- Mount Fair, an historic farm located within Virginia horse country, embraces the firm's expert ability at respecting the past while meeting their clients' present day needs. 'Expressing Permanence' -- A client's getaway home perfectly poised lakeside and designed to accommodate a range of ages. The Adirondack style is a nod to the area's architectural history of family compounds and camps. Interior design by Mark P. Finlay Interiors. Country Houses is an all encompassing text, paired with rich photographs that capture the grand scale views & fine finishes of every inspiring example and architectural drawings provide insight into proportion as it pertains to the terrain. Yes, these client commissions are dream like, but by honoring unlimited design possibilities, Mark P. Finlay Architects create treasured testaments in a true reflection of artistic reality. I highly recommend adding a copy of Country Houses to your design library. *Many thanks to Images Publishing for extending me a copy to preview. All photos have been provided by the publisher.